Sometimes, it would be difficult to remember all the important business events that occurred during the year and for that instance, the Event Calendar should be formatted so every business event and its details should be correctly mentioned in the calendar. 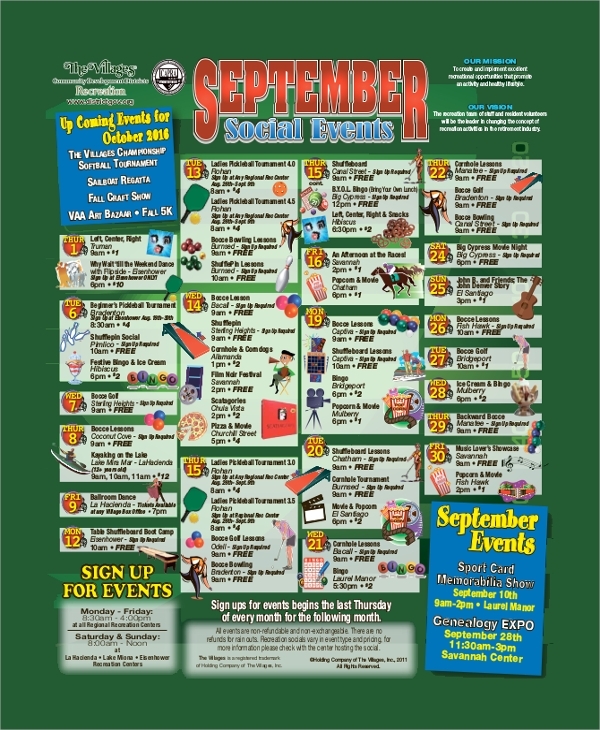 The event calendar contains all the details and information about the events, venue and related information. The event calendar consists of it’s clients, purpose and all vital details. In business, various events occur on a regular basis and to remember each and every detail of the event is not possible and to have complete detail about the event and its vital information data during the year should be properly recorded and mentioned in the Yearly event calendar. For any business purpose or various business activities, a number of events and occasions occur on a monthly basis and in order to keep a record of each event and to remember all the data during the month, this monthly event calendar template can be used effectively. Marketing of any business is most significant for its product and service and to have a successful marketing strategy for any event or product, proper planning and execution should be done. 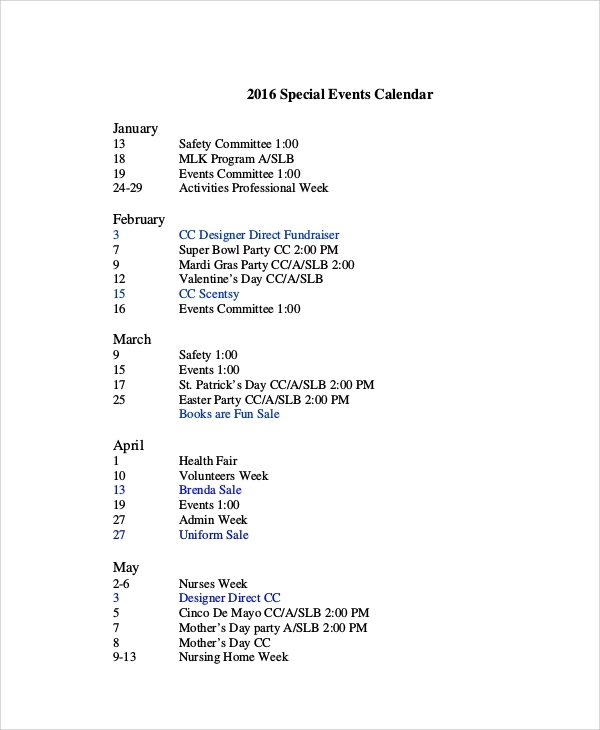 This marketing event calendar template provides all the details about the market planning and event management for a particular product or project for a limited period or marketing tenure. To attract the consumer towards your business product, the company conducts various type of exhibitions during the year or project period and to remember it is challenging and for that purpose the events calendar is formatted. 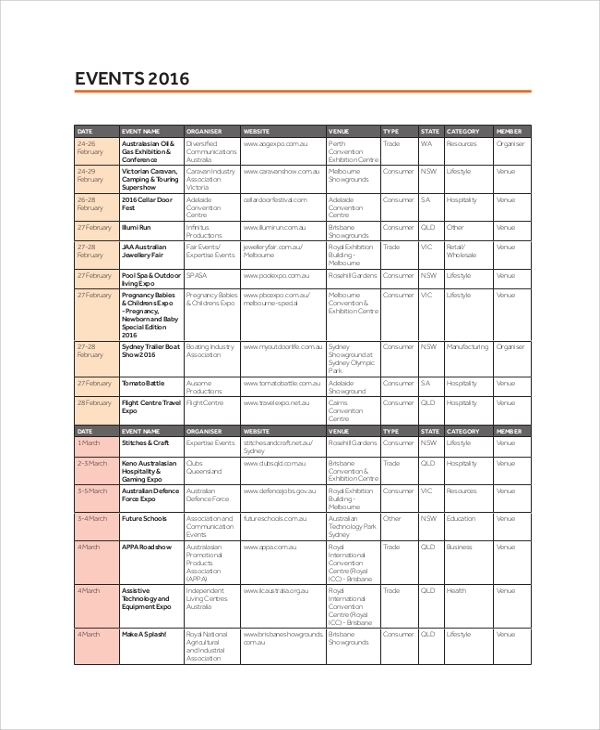 This event calendar keeps a record of all the consumer exhibitions and trade fair events during the year. It is useful to keep the record of the event during given period. It provides an easy and quick review about the event It gives all the details about the events. It is useful for marketing of the product. It is useful for planning and organizing your business events. 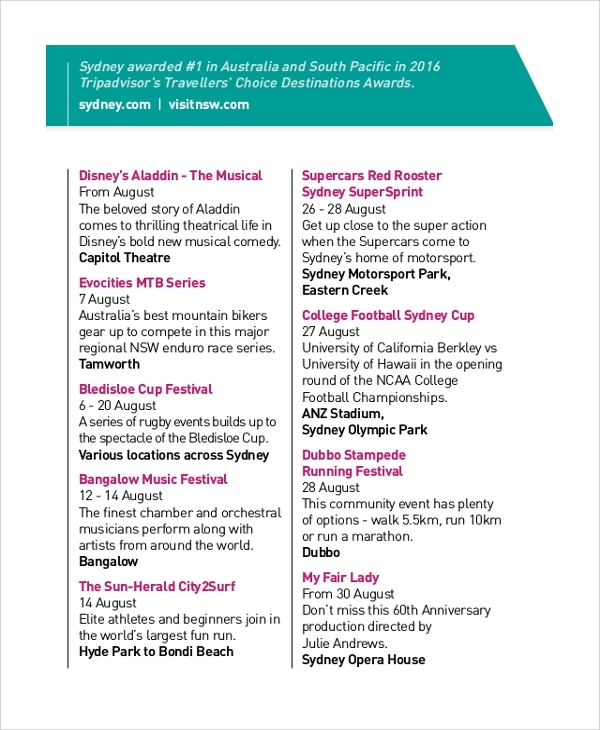 It gives an overall idea about your business events during the year. To remember each and every detail of the business and its activity is not possible for the employees of the business. 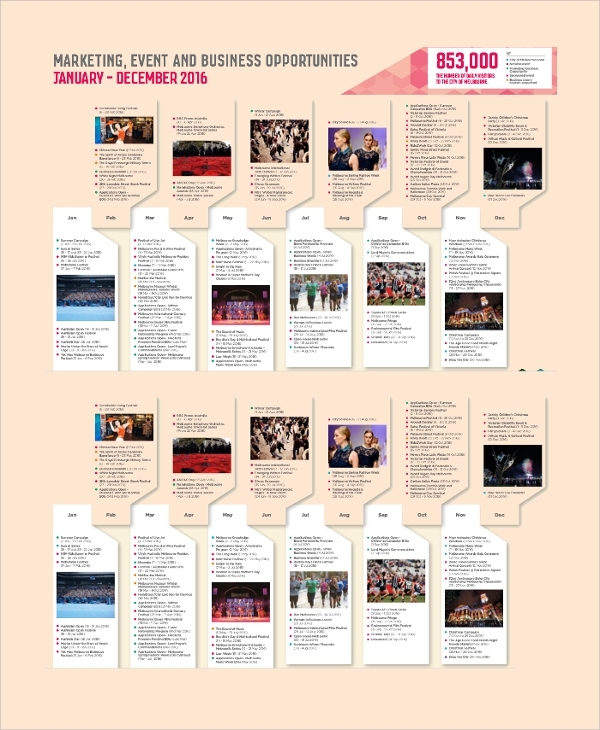 And numerous events takes place during the year, and there the need for the Event Calendar arises, where the individual can keep a record of all the details and information of events that had occurred during the year. Firstly, you should decide the type of the event calendar, for instance, yearly, quarterly, monthly or weekly. And the purpose of creating the event calendar and its format. 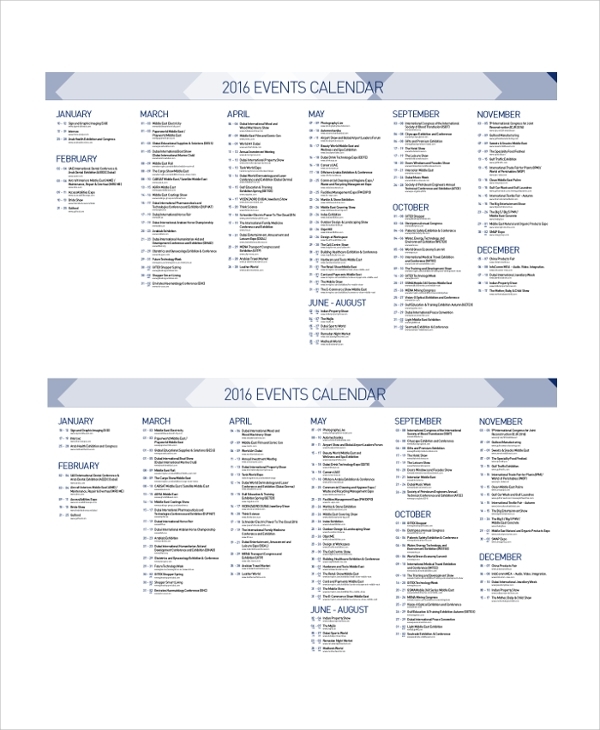 The event Calendar Templates should involve all the details about the event which occurred during the year. 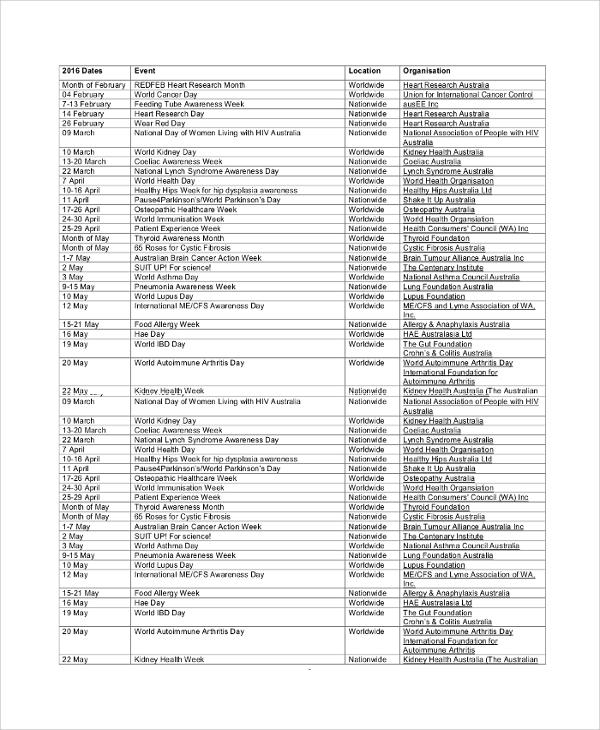 The event calendar is published to all the concerned people. 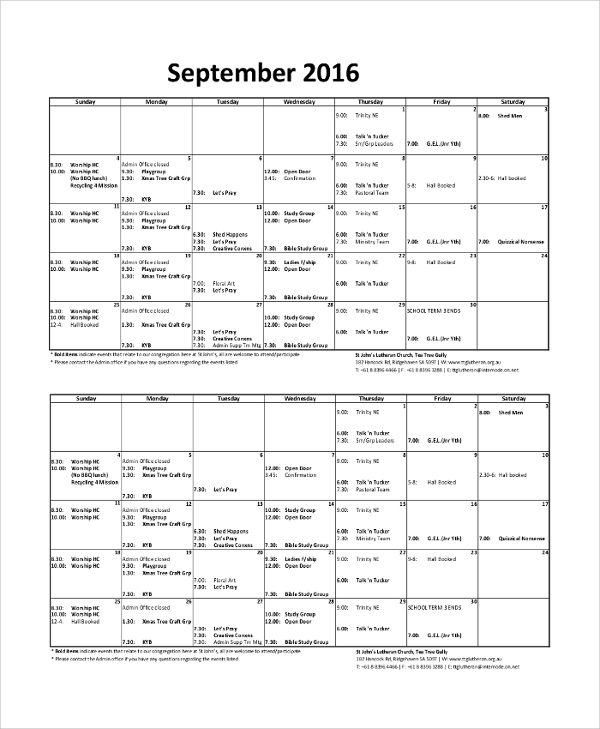 All the templates of event calendar sample and photo calendar sample are available in both the formats including document and Pdf. All the documents are print ready and compatible with all the version. We are customer oriented and your satisfaction is always our priority, so feel free to provide any suggestion and your requirement list, we will always fulfill it.